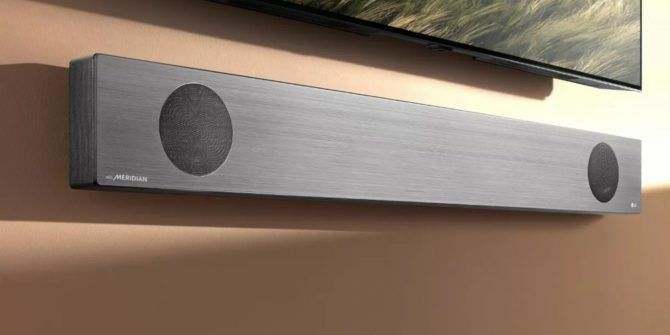 One of the coolest inventions in the home theater space is the soundbar. They allow you to get high-quality sound without the wires and space needed for a traditional surround sound system. LG is one of the companies that consistently push the envelope in terms of what home theater systems can offer, and its latest line of soundbars is no exception. The company has just unveiled a new line of devices that feature Dolby Atmos and Google Assistant built-in. LG’s new soundbar line will come in three different flavors—the SL10YG, SL9YG, and SL8YG. All three models are made in collaboration with Meridian Audio, and they all feature support for Dolby Atmos and DTS:X built-in. According to Dolby, Atmos offers sounds that “moves around you in three-dimensional space, so you feel like you’re inside the action.” Basically, it offers a more detailed level of sound than you’d get from speakers without Atmos. The Google Assistant features sound very promising, as they’ll allow you to control the volume, ask what song is playing, skip tracks, and all kinds of other things with your voice. Additionally, the soundbar can be used as a hub for smart home devices, which adds another layer to its usefulness. If you want to tell it to turn off the lights, it’ll do that while you’re watching your favorite shows or movies. Another cool feature that starts on the SL9YG model is a gyroscope that actually senses the position of the speaker and adjusts the sound accordingly. As far as the look goes, all of the speakers feature a very minimalist design that looks like it’ll blend right into pretty much any living room. There will also be a wireless rear speaker kit available to expand the sound options. How Much Will the SL10YG, SL9YG, and SL8YG Cost? Unfortunately, while LG was more than happy to tout some details of its new soundbars, it didn’t mention how much any of them would be. The company also didn’t reveal exactly when it would unleash the new devices on the market. However, LG did promise to exhibit the new soundbars at CES in January, so we shouldn’t have to wait too long to find out more information, and more importantly, hear how these gorgeous new speakers sound. Can’t wait? Check out these soundbars with Dolby Atmos The 5 Best Dolby Atmos Soundbars You Can Buy The 5 Best Dolby Atmos Soundbars You Can Buy Dolby Atmos is the latest sound innovation to add to your home theater---and these Dolby Atmos soundbars are perfect for the job. Read More that are available right now.